Yep, so don’t skip it, even if you don’t have an appetite for it. Find out the benefits of eating breakfast, what to eat, when to eat it, and what to do if you have no appetite in the morning. Breakfast is necessary for blood sugar regulation, which affects many aspects of your health. Typically your blood sugar is low when you wake up in the morning, and you need to “break the fast” to refuel your body. But if you finished dinner at 7pm and you don’t eat until 1pm the next day, you’ve gone 18 hours without feeding your body the energy it needs. This makes your blood sugar too low, forcing your blood sugar organs, the pancreas, liver and adrenals, to work hard to raise blood sugar levels to fuel your body because it doesn’t have food to fuel it. Skipping breakfast is especially disastrous to health if you either have blood sugar issues or what is popularly called “adrenal fatigue” but is actually a dysfunction of the hypothalamic-pituitary-adrenal (HPA) axis. I have HPA axis dysfunction and have found that eating a balanced breakfast (as well as just eating more calories and carbs!) has improved my overall energy levels. My clients have also found that eating a balanced breakfast improves their energy levels throughout the day. Digestion is optimal in the morning and supports stable energy throughout the day. Digestion is at its best between 9 and 10am. At this time you are able to make use of the nutrients in your breakfast more completely than meals later in the day. You get more bang for your buck. Also, more complete digestion of protein and fats allows a more consistent release of blood sugar, called glucose, into the blood stream, providing long burning energy until lunch. As it’s not uncommon to not feel like eating until mid morning, it’s perfectly fine to eat at 9 or 10am. However, if you suffer from “adrenal fatigue” or HPA axis dysfunction, it’s critical to eat breakfast within 30 to 45 minutes from waking in order to support the blood sugar organs, particularly the adrenals. If you wake up and immediately do spiritual practices or go to a yoga or exercise class, still eat something small or light following the guidelines below. A balanced breakfast must have protein and fat. Forget cereal or toast, or even a high-glycemic fruit like banana or mango. Meals too high in carbohydrates, particularly refined carbs such as sugar and grains, with little to no protein or fat quickly spike blood sugar levels because carbohydrates eaten alone are more quickly converted to blood glucose. This causes a spike in blood sugar levels. Insulin is a hormone used to lower blood sugar levels. The problem is that too much insulin is released, lowering blood sugar too much. Then other hormones have to work to increase blood sugar, making the level too high. More insulin is secreted to lower blood sugar, and the blood sugar roller coaster continues. Is it the salty snacks you crave? No, no, no. Yours is a sweet tooth. Fats and proteins eaten with carbs slow down the elevation of blood glucose levels, preventing that spike in blood sugar that then leads to a crash. So what is this ideal ratio of proteins, fats and carbs? This ratio is highly individual, but one can start with a general recommendation and adjust it accordingly. A general recommendation is 40% of calories from carbohydrates, 30% from proteins and 30% from fats. Many people find that they feel better eating more fats and less carbs than this recommendation. For those with what is popularly referred to as “adrenal fatigue” but what is actually dysfunction of the hypothalamic-pituitary-adrenal (HPA) axis, a slightly different macronutrient ratio is recommended: 20-40% of calories from carbohydrates (carbs are super important for the adrenals to heal), 20-30% from protein and 40-60% from fats (source: Paleo Rehab). It’s critical to keep blood sugar levels even throughout the day to support the adrenals. If you get the appropriate ratio of protein, fats and carbs at each meal, this supports even blood sugar and stable energy levels. A general recommendation is to get 30 grams of protein at each meal, including breakfast. 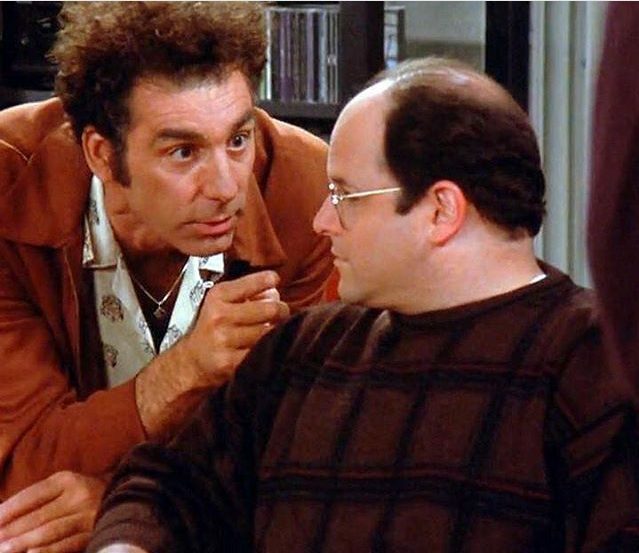 Admittedly, this is difficult for many, as you would need to consume 6 eggs or 10 little sausage franks. Though I don’t reach 30 grams of protein for breakfast, I find it easier to get in more protein using protein powder in a smoothie, with some animal protein on the side. How do you know if you’re consuming the general recommended macronutrient ratio? Apps or websites like FitBit and Cronometer allow you to designate your own macronutrient ratio instead of using theirs. I used Cronometer for just a week to make sure I was getting the right ratios (I was) and enough grams of protein, fats and carbs (I wasn’t). It was very enlightening to find out I wasn’t eating nearly enough protein even though I now eat animal protein at every meal! So what does a balanced breakfast look like? What do you eat if you’re used to just a bowl of oatmeal or toast (or worse–just coffee!)? Think of breakfast like any other meal. Dinner for Breakfast! After dinner, set aside the leftovers in an oven-proof container to pop into the toaster oven in the morning (at home or at work). Set up a second alarm to remind you to put your breakfast in the oven. This method means you don’t have to cook anything in the morning! Eggs, sausage, or bacon with sautéed vegetables and potatoes. I like to bake extra potatoes when making dinner and then slice them up and fry them for breakfast. Sauté leftover veggies or raw veggies in a small sauce pan. When almost done, add two whole eggs on top, cover with a lid until the whites are cooked but yolks are still runny. Serve with avocado slices, salsa, sauerkraut or kimchi. Vegetables can be onions, bell pepper, spinach, chard, kale, & tomatoes. Quiche with vegetables. Make on the weekend. Warm in the toaster oven in the morning. See my 30-minute meals e-­book for the recipe. Egg muffins baked in ramekins or in muffin papers. Bake on the weekend and warm in the toaster oven in the morning. If you don’t have muffin tins or liners, you can bake it in a small glass baking dish for the same time and cut into squares. 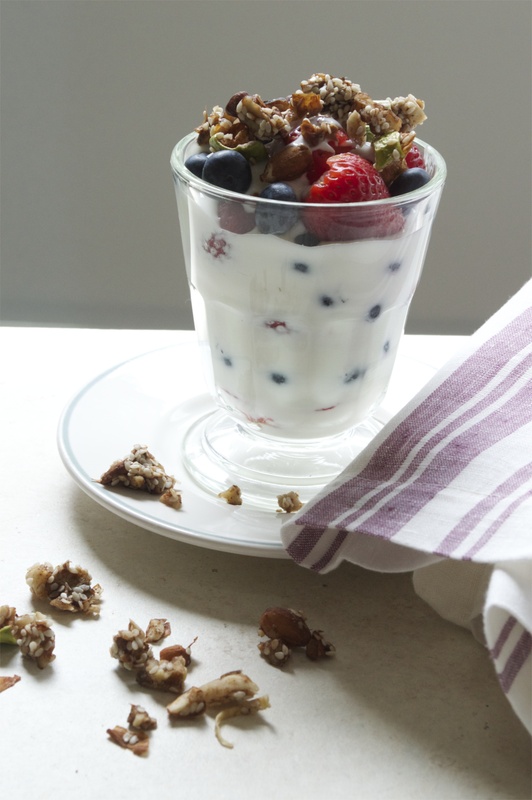 Yogurt Parfait: Organic plain whole milk (no low fat!) yogurt or kefir, mixed with collagen or protein powder, with berries, nuts and seeds or almond butter, sweetened with raw honey or unsulphured blackstrap molasses (full of minerals and B6—a nutrient-­dense sweetener! Do not eat “light” or “first” molasses, as this is full of sucrose). Top with my raw nut granola. Smoothie of homemade nut milk, store-bought nut/coconut milk from the refrigerated section at the store, full fat coconut milk or full fat organic milk (least optimal choice unless raw), frozen berries or mango, ripe banana, raw egg or two, protein powder, almond nut butter, raw cacao powder. Do not add pasteurized orange juice or jarred fruit juice. If you do need to drink coffee, it’s best to treat it like a refined carbohydrate: drink it with a fat to slow down the absorption into the blood stream. Many enjoy their coffee blended or mixed with pastured ghee and/or coconut oil. At first I thought this sounded unpalatable, but when I blended my coffee with coconut oil and ghee, I was pleasantly surprised how tasty it was! Instead of the ghee or coconut oil, add raw cream if you’re lucky to have access to it. You can also add collagen powder (it has no taste) for extra protein. What to do if you don’t have an appetite in the morning? First, make sure you are eating your dinner at least 3 hours before sleep. This allows much of the food to be digested. If you eat right before sleeping, the food will not be able to be digested in a timely manner and can be maldigested, thereby making you feel still full when you wake up. Make sure you are addressing any digestive issues such as low stomach acid. If you don’t feel an appetite until late morning, early afternoon or never, this can indicate a dysfunction of the hypothalamic-pituitary-adrenal (HPA) axis, and should be addressed on its own. While addressing low stomach acid, moving your dinner to an earlier time and addressing HPA axis dysfunction, you must start by eating a small breakfast in the morning. If HPA axis dysfunction is an issue, you should eat ideally 30 to 45 minutes upon waking. This brings up blood sugar levels so your blood sugar organs don’t have to work hard to do it without food. Many, my clients and myself included, find that they have more energy and more stable energy throughout the day when they eat breakfast regularly. If you still loathe the idea of eating anything in the morning, commit to eating a small or light breakfast for at least three days and see if you feel any better through out the day. I used to not eat breakfast because I didn’t have an appetite due to HPA axis dysfunction. As I mentioned above, when I started making myself eat a light but balanced breakfast with protein, carbs and fats, my overall energy improved. Now it’s a habit. 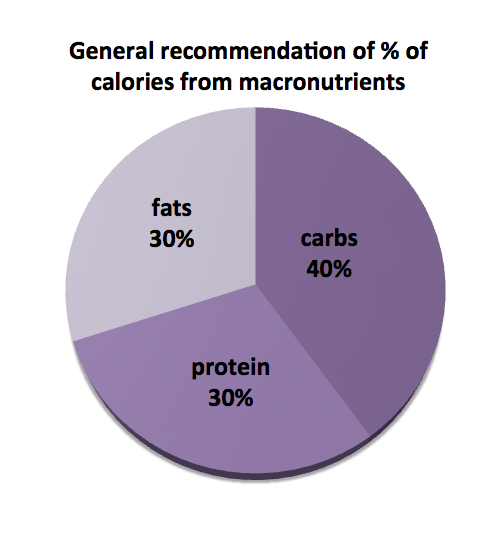 Make sure to follow the macronutrient ratios above. Examples of a light breakfast would be the smoothie or yogurt parfait.